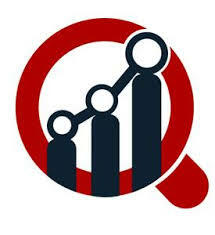 E-drive for Automotive Market To Grow Rapidly At a CAGR of 14.72% From 2018 to 2023. Rising Adoption of Electric Vehicles to Spur the E-Drive for Automotive Market. Global E-Drive For Automotive Market Research Report By Drive type (Front Wheel Drive, Rear Wheel Drive And All Wheel Drive), By Electric Vehicle Type (BEV, HEV And PHEV), By Electrical Vehicle Type(Battery Electric Vehicles, Hybrid Electric Vehicles And Plug-In Hybrid Electric Vehicles), By Region - Forecast To 2023. SMR, Robert Bosch, GKN Plc, BorgWarner, ABM Greiffenberger, AVL List GmbH, Magnetic Systems Technology (Magtec), ZF Friedrichshafen, ACTIA Group, and Siemens AG are among the prominent market players analyzed in MRFR's report. These players have been studied for their competitive role in the global e-drive for automotive market. E-drive also known as electric drive, is the technology which allows an automotive vehicle to drive using electricity for fuel instead of conventional energy. Electric motors power the vehicle. Valued at USD 8,588.8 Mn in 2017, the market is steadily approaching a market value of USD 19,400 Mn by the end of 2023 due to the market growth at a CAGR of 14.72% during the review period from 2018 to 2023. High fuel prices combined with growing concern regarding the depletion of non-renewable resources is expected to drive the demand for electric vehicles. The sales of hybrid and electric vehicles have gone up considerably. This has particularly been the case since the launch of several high-end vehicles in e-drive versions. Market players present in the global e-drive for the automotive market are leveraging these drivers. Consumers are increasingly being influenced by their desire to reduce their carbon footprint as the global concern over the environment continues to grow. Encouraging the trend of adopting environmentally friendly alternatives, market players have come forward with a wide range of automotive vehicles such as hatchbacks, sedans and several others. According to a study by the Rocky Mountain Institute, 2022 will see roughly 2.9 Mn electric vehicles on the road. In lieu of the high adoption trend of electric vehicles, energy providers are deploying smart grid charging systems in public areas to help provide consumers with convenient charging points. This move is expected to further increase the demand for electric vehicles. The market is presently driven significantly in countries with developed economies and high disposable incomes such as the U.S, China, Germany, and Norway to name a few. Conversely, the price point of electric vehicles is too high in developing or underdeveloped economies. As a result, there is low adoption in such countries. India, Brazil, and other similar countries display potential for growth, as they have large consumer populations with rising disposable incomes. However, the unaffordability of e-drives for automotive will likely slow down market growth. The global e-drive for the automotive market has been segmented on the basis of drive type, product, electric vehicle type, and region. Drive type has been segmented into front wheel drive, all wheel drive, and rear wheel drive. The front wheel drive segment has the largest share and is likely to grow at the highest CAGR during the forecast period. Electric vehicle type has bee segmented into battery electric vehicles, hybrid electric vehicles, and plug-in electric vehicles. Hybrid electric vehicles have the largest share of the market, and the segment is expected to grow at a high CAGR of 15.35% during the forecast period. The Asia Pacific has achieved a leadership role in the global e-drive for automotive market due to the presence of China which is a large consumer of electric vehicles. The pollution levels in the country have reached peak levels, and due to the presence of the world's largest population in China, the demand for electric vehicles has grown significantly. Government support for electric vehicles is another driving factor. China is expected to deploy close to 5 million electric cars by 2020.